Can you imagine waking up to this adorable treat? 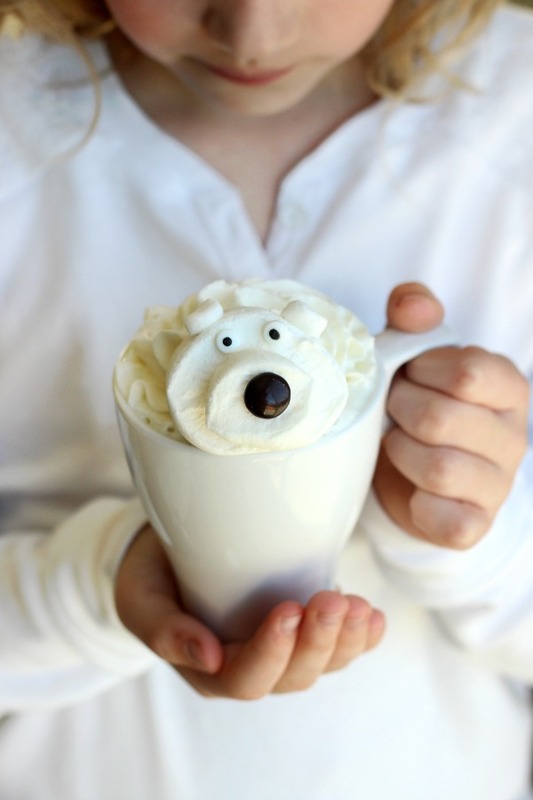 Our friend Brandy shares her recipe for hot white chocolate, mixed with half and half cream, milk, and a bit of vanilla and topped with a polar bear marshmallow. 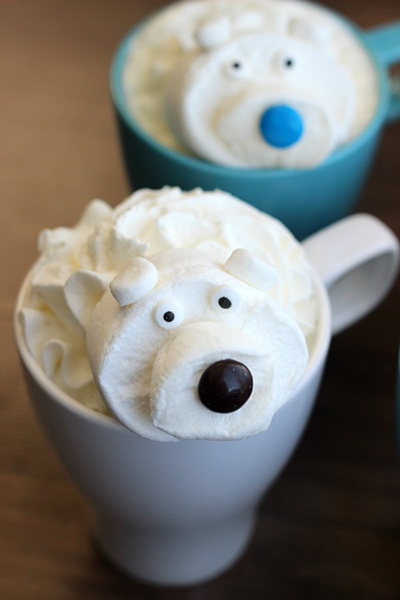 It’s a fun treat to make on a chilly winter day! Heat ingredients in a saucepan over medium heat, stirring constantly until chocolate is melted and mixture begins to steam. Heat just until hot, then serve. 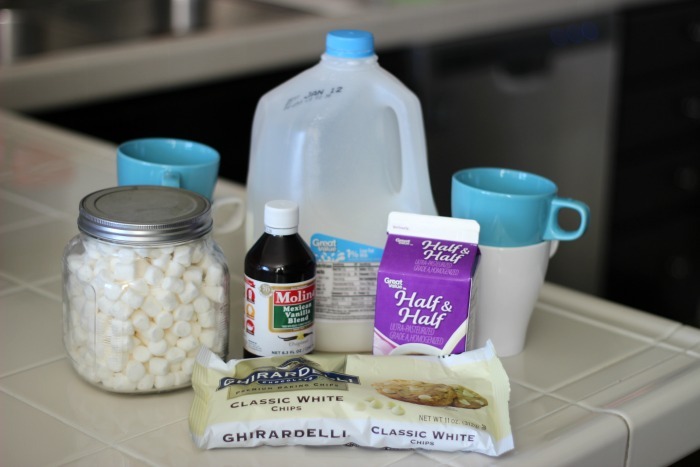 Add whipped cream and top with marshmallows. 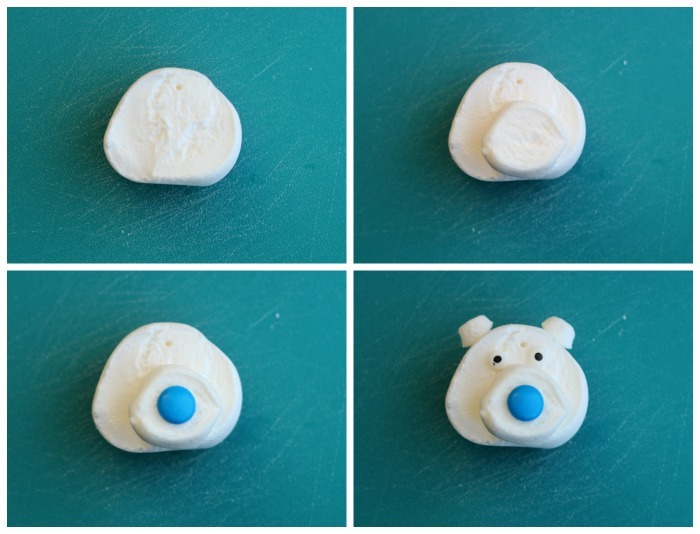 These polar bear marshmallows come together in about a minute! 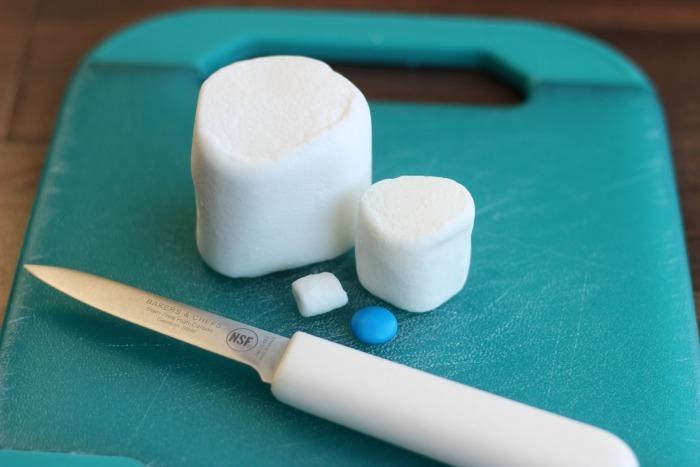 Since marshmallows are sticky when you cut them open they are simple to assemble using nothing but marshmallows and a piece of chocolate candy. Add the halfed jumbo marshmallow to the center, sticky side up. 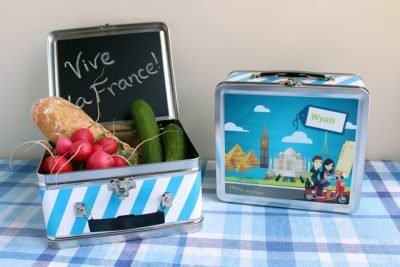 Creative Lunches for Kids with a French Twist! 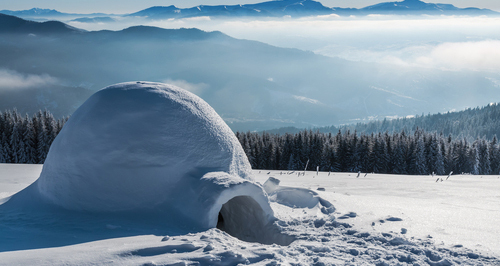 Learn how igloos were built - then build a delicious edible version with our free printable! This activity is a fun combination of brain anatomy and artistic carving skills - it's the perfect pre-Halloween treat for a curious young scientist! Those polar bears are so cute!! 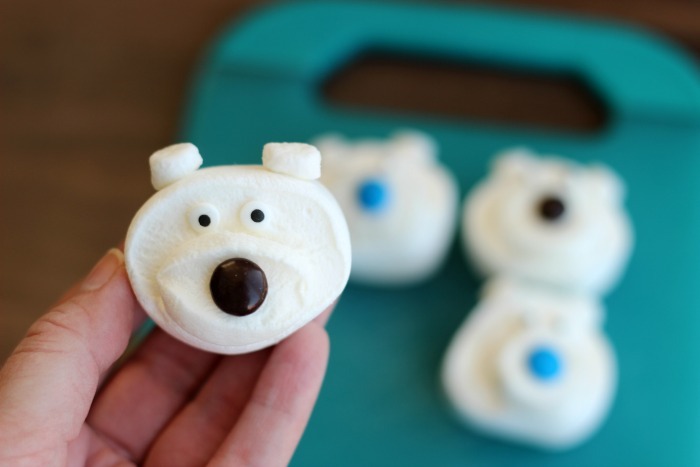 Those polar bear marshmallows are so cute. I think you need to edit this post a little – where you say “discard” I think you mean “eat”, right? So adorable! I can not wait to make these with my boys. Pinned. 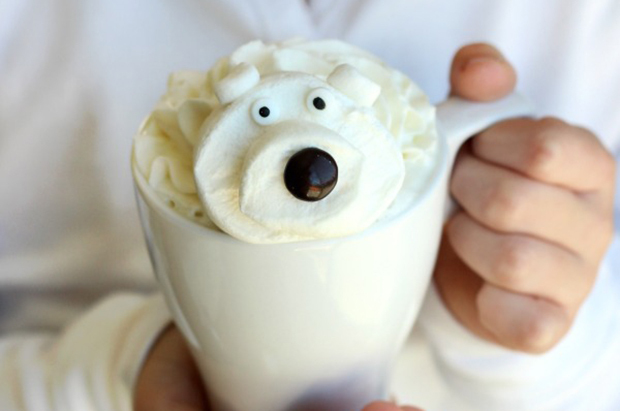 Super cute and perfect for any little bears needing a sweet warm up. OMG these are adorable! They go perfectly with my Polar Bear Frolic tablescape and dishes that I posted on my blog this week! I will definitely make these next time I use the setting for friends.